On television he has been featured in COMEDY RULES (STV), PEBBLE MILL (BBC1), BEST OF SCOTTISH COMEDY (STV), TALKING TELEPHONE NUMBERS (ITV), AUNTY"S SPORTING BLOOMERS (BBC) the Sci Fi series SPACE CADETS (Ch 4), A GAME OF TWO HALVES (STV), LIVE AT THE COMEDY STORE (Ch 5) and as a presenter on THIS MORNING (ITV). 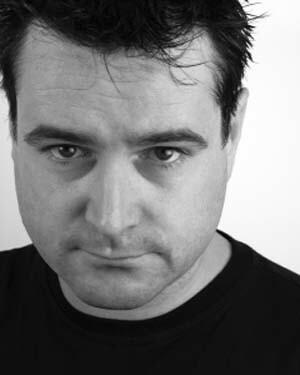 More recently he appeared in ONLY AN EXCUSE (BBC Scotland), CALEDONIA MACBRAINS (BBC Scotland) and TAKE THE MIKE (ITV) - giving advice to young hopeful comedians. Geoff has also worked as a warm-up for television. Recent shows include THEY THINK IT"S ALL OVER (BBC 1), DEAD RINGERS (BBC 2), JACK DEE (BBC 1) and MR CHARITY (BBC 1).